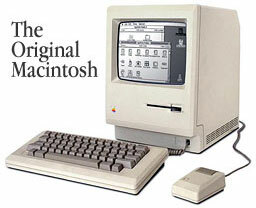 Jef Raskin, creator of the Apple Macintosh died on Saturday, February 26, aged 61. Mr. Raskin was born in New York in 1943. He studied philosophy, mathematics, data processing, and electronics. His formal education was arts education at the University of San Diego. Later, he taught data processing, and music composition. Mr. Raskin joined Apple as employee number 31 in 1978 to manage the publications department. In 1979, Mr. Raskin began work on the project that what was to become the Apple Macintosh - his idea was to develop a machine that was cheap, aimed at consumers rather than computer professionals, and was very easy to use. In January 1984 the Apple Macintosh was unveiled and won acclaim as the world's most-advanced - and easy to use - personal computer. However, Mr. Raskin had left the Macintosh project three years prior, being sent on an involuntary leave of absence by Apple cofounder Steve Jobs, who had assumed control of the Macintosh group after being ousted from the Lisa group. Despite Mr. Raskin's founding of the Macintosh project, some members of the Macintosh community have asked whether Mr. Raskin was really "the father of the Mac" as the press styled him. In 2004, Macintosh team member Andy Hertzfeld told this journalist that: "Jef deserves a huge amount of credit for starting the Macintosh project and articulating the fundamental ideas behind it (an easy to use, low cost, high volume, consumer appliance computer). He also put together an amazing initial team to realize the ideas. But he left Apple during the early development stages and deserves little credit for the actual design and implementation of the Macintosh as shipped." 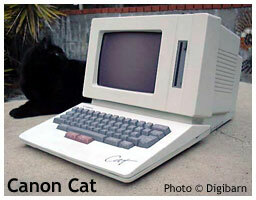 After leaving Apple, Mr. Raskin went on to found Information Appliance, which developed the Canon Cat "work processor" that embodied many of his original concepts for the Macintosh. In December 2004, Mr. Raskin was diagnosed with cancer. He had just acquired funding for a his human-computer interface project entitled Archy, formerly known as the Humane Interface. Mr. Raskin is survived by his wife of 23 years, Linda Blum, and; his children, Aza, Aviva, and Aenea.